>> The more link would be a drop down of all our other sub domains. >       half of my screen. 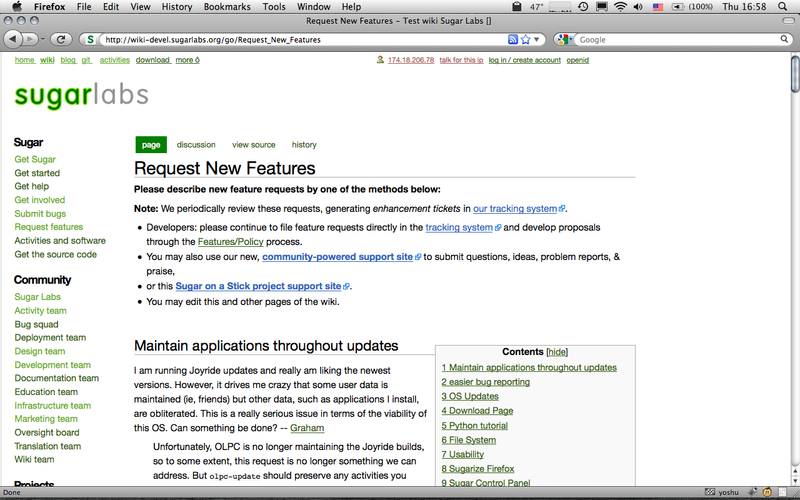 >   (2) the "page" tab is misaligned (too mich to the left). screen shot for both problems? >   (3) I think the font for the links on the left is a little bit too big. I can make these a little smaller. >   (6) there's too much empty space above and below the Sugar Labs logo. >       It might be caused by the other layout problems. I think a screen shot will help for this one too. Thanks for the feedback. >   and look for<span class="pLinkbar">  at line 125.
issues browse has with borders. Any input on this direction would be great.